Transforming the way we live and work, the Internet of Things (IoT) allows you to connect and monitor assets from virtually anywhere for almost any industry. As our "things" and world become interconnected, businesses and consumers have the opportunity and accessibility to improve efficiency, productivity and, most of all, connectivity. 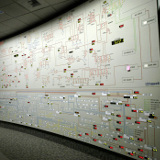 The smart grid is drastically changing the way businesses operate. With this technology, utilities are equipped to deliver power more efficiently, improve operations, reduce emissions and management costs, and restore power faster. And operators are able to immediately identify outages, allowing for improved efficiency to manage responses. This type of technology also allows utilities to migrate from one-way analog systems to two-way digital and wireless communications. This allows for near real-time communication, opposed to days or weeks, as previously was considered normal. With smart meters, utilities can learn of consumption, pressure or temperature information from remote substations or production facilities in secluded areas to ensure pumps and motors are working properly and identify problems before equipment failures. Smart meters enable utilities to better support their customers because they can wirelessly monitor and manage their power usage on a daily basis, which ultimately can help lower their bills. This capability uses smart meters connected to a cellular wireless network, which then transmits information from meters located at homes and businesses to utility operations centers. So that customers can see exactly what the utilities see, the data is made available on a mobile application anywhere, at any time. IoT is transforming how smart grids are currently being used and how we are working to evolve the technology for future generations. Smart energy solutions are still a relatively new phenomena. Advanced meter solutions, merging innovative smart meters and wireless solutions, are just the beginning of the innovation that is in store for this space. In addition, smart lighting solutions are now moving from a single purpose solution to an aggregate of solutions able to solve multiple use cases, such as parking, traffic monitoring and connecting citizens with Wi-Fi. With IoT, the possibilities are endless. Now, it's possible to connect to virtually all utility assets—from meters and substations, to work force vehicles, to employees. This interconnectivity not only simplifies processes, but also works to increase productivity through communication. Now, using data from meters and sensors, a utility can be alerted that a transformer is overheating, generate a work order, and then dispatch to the nearest service crew instantaneously. Previously when a transformer failed, for example, the lights went out and the utility only knew about it when customers called. Now, when the lights go out, a sensor on the power line sends an alert to the utility's outage management system, which monitors that transformer. The system recognizes where the outage is and sends a work order to the dispatch center so crews nearby can be sent out to fix the problem. This gets the lights back on sooner and results in more satisfied customers. Voice communication networks allow communication to field workers. Mobile networks connect service crew vehicles. Machine-to-machine (M2M) networks provide information from pumps and meters. With smart grid technology, utilities no longer need three different networks—because it has one all IP-based digital network. With one network, every department can use the service for all applications. This reduces investments for network communication and allows for reallocation of capital investments. IoT also provides an opportunity for utilities to create value from customer data using a variety of sources. The data, which was typically used for operational efficiently, is now made available to consumers. Utilities can now offer pre-paid energy, for example, in a way similar to pre-paid cellular services by providing consumers the flexibility to pay for energy when and where they want. 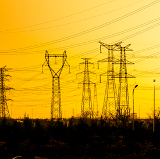 These types of smart grid solutions benefit customer service, as well as help utilities reduce bad debt write-offs and truck rolls, for disconnect and reconnect of services. In some instances, larger utilities, including some that operate their own communication infrastructure to manage smart grid operations, turn to partnerships with service providers to help them streamline the number of networks they manage and create utility-specific solutions. At the foundation of the IoT is communications. The communications network is always evolving and is multi-purposed—not what it has been known for in the past. Smart gird technology is an example of how IoT is driving innovation and productivity for consumers and businesses. With information on the location and conditions of assets at the touch of a button, utility companies can change the way they service their customers. At the same time, solution providers continue to push the envelope by delivering increasingly sophisticated mobile solutions that may help managers make more informed choices for managing their assets. As a result, utilities are able to make better business decisions, become more efficient, and provide the best customer service possible. Thank sipur for the Post! 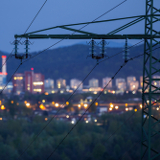 Making the power grid smarter and more efficient is becoming a necessity as aging infrastructure requires upgrading, distributed generation sources proliferate and utilities adjust business models to address climate change and other new.. There is a design and configuration practice called “graceful degradation” in telecom circles. It diverts all communications functionality to a limited group of subscribers that have the most critical needs. Microgrids present interesting..